What is your favorite album of the year 2005? What is for you the record of the year 2005? The one you've been listened to several times a day? The one you will take with you when you will move to an island? The one you will send in the space to welcome the aliens???? ... and tell us in a few words, WHY? For me, no doubts about it. The record of the year is "Hip Li’l Dreams" by the Sons of Champlin. The first reason is non objective cause Bill Champlin is my favorite artist in music. His voice, his lyrics, his melodies and state of mind always touched me deeply. The Sons of Champlin are very much a part of the rich tapestry that was the San Francisco music scene of the Fillmore and Avalon Ballrooms. Their funky Hammond B-3 and horns sound was utterly distinctive and quite unlike the rest of the Bay Area’s psychedelic guitar bands. Celebrating the human spirit, philosophical themes driven by funk infused R&B and jazz based tempos continued to set the Sons apart. Often hard to define because of their eclectic mix of material, the Sons were playing acid jazz before it had a name. Always known for their outstanding musicianship, they have become the benchmark against which other players have measured their chops. The Sons released seven albums between 1968 and 1977. After a twenty year hiatus, the Sons reunited for a series of successful reunion gigs in 1997. Bill Champlin agreed it was "too good not to continue." In an extraordinary partnership with the Expression Center for New Media, located in Emeryville, CA., the Sons got back into the recording studio. 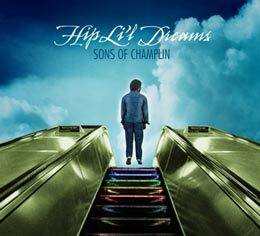 On Hip Li’l Dreams, the Sons debut CD for DIG Music, Bill Champlin (vocals, organ, and guitar) appears with original members Geoff Palmer (keyboards, vibraphone, and baritone sax), bassist David Schallock and drummer James Preston. Joining them are guitarist Tal Morris, former Tower of Power member Mic Gillette (trumpet, trombone, and tuba) and Tom Saviano (saxes). Guests include Tom Johnston of the Doobie Brothers, Bobby Kimball and Steve Madaio. Produced by Bill Champlin, Gary Platt and Tom Saviano, Hip Li’l Dreams packs all the energy and soul of their live shows on disc, as the Sons blast through 11 original songs. 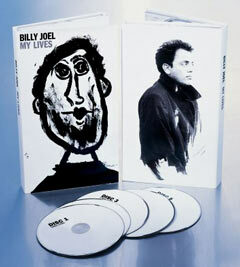 "My Lives", the ultimate career-spanning Billy Joel collection, with all tracks hand-picked by the artist! Columbia/Legacy is set to release My Lives, a lavish five disc (4 CDs + 1 DVD) box set chronicling the extraordinary musical evolution of superstar Billy Joel, from his early 60s Long Island bar bands through his biggest hits to his most recent classical compositions. My Lives will be in stores on Tuesday, December 6th. A worthy companion to Billy's bestselling "Greatest Hits, Vols. 1, 2 & 3," My Lives is the first Billy Joel collection to explore the entirety of the artist's career through rarely-heard and highly-collectible material. Personally curated by Billy Joel himself, My Lives provides new and surprising insights into the artist's creative process. A veritable treasure trove for Billy Joel fans, My Lives brings together rare demos and revelatory alternate takes from all phases of the artist's career, high-octane live performances, and Billy's covers of songs by some of his favorite artists including Bob Dylan, Elvis Presley, Brian Wilson, Leonard Cohen and others. The My Lives box-set includes a 64-page deluxe booklet featuring illuminating liner notes by Anthony DeCurtis, track-by-track annotations, never-before-seen photos, an exhaustive Billy Joel discography, memorabilia from Billy's own archives and much more. In addition to four CDs worth of rare Billy Joel music, My Lives includes "Live From The River Of Dreams," a DVD of Billy performing some of his biggest hits live in Frankfurt, Germany. Disc 1 of My Lives includes Billy's earliest recordings with his first bands--the Lost Souls, the Hassles, Attila--as well as demos and alternate takes of some of Billy's most-loved signature songs including a never-released demo of "Piano Man" and an alternate version of "Only The Good Die Young." Disc 2 spotlights some early song drafts including "The End Of The World" (a never-released demo that later became the B-side "Elvis Presley Blvd") and "The Prime Of Your Life" (a never-released demo that later became "For The Longest Time") as well as the collectible cuts "Nobody Knows Me" (from the In Harmony II children's album), "Modern Woman" (from the "Ruthless People" soundtrack), an alternate version of "Getting Closer" with Steve Winwood and live covers of the Beatles' "I'll Cry Instead" and Bob Dylan's "The Times They Are A-Changin'" (from the Moscow Television Show, "The Ring," 1987). Disc 3 offers healthy glimpses of the high-energy hard-rockin' side of Billy Joel on covers of the Isley Brothers' "Shout," Elvis' "All Shook Up," the Beatles' "A Hard Day's Night" and Bob Dylan's "Highway 61 Revisited" as well as soulful interpretations of "When You Wish Upon A Star" (from Simply Mad About The Mouse) and Duke Ellington's "In A Sentimental Mood" (from the "A League of Their Own" soundtrack). Disc 3 also features the album's main single, "Money Or Love," a gem of a demo from 1989 showcasing Billy in an intimate trio setting with Schuyler Deale (bass) and Liberty DeVitto (drums). Disc 4 brings together a cross-section of essential live performances--including the never-before-released duet with Elton John, "You May Be Right," a heartstopping version of the Beach Boys' "Don't Worry Baby" (from An All Star Tribute To Brian Wilson), and "New York State Of Mind" (from the "America: A Tribute To Heroes Concert For NY")--and closes with a sequence of Billy Joel's recent classical compositions. 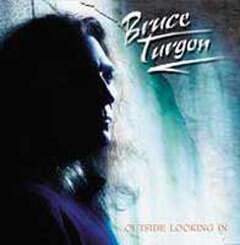 "ouside looking in", Bruce Turgon'snew album. Bruce Turgon is not foreign to the concept of hard work. His career dates back to the late '60s releasing three major label albums in Black Sheep, a band with Lou Gramm on lead vocals. When Gramm was called to join the multi-million selling band Foreigner in 1976, Bruce left NY state for Los Angeles, eventually writing, recording and touring with bands like Billy Thorpe, Nick Gilder, Prism and Warrior as well as performing around the L.A. area with his own bands. Eventually, his long time association with best friend Gramm led to the writing and recording of Gramm's first solo effort “Ready Or Not”, yielding the hit single, “Midnight Blue”. In between the recording of Gramm's second album, “Long Hard Look” and its subsequent tour, Bruce also toured with Billy Idol's guitar player Steve Stevens in support of his solo album, “Atomic Playboys”. In 1991 he and Gramm then formed the short-lived Shadow King, with Bruce co-writing nine of the ten tracks on the album, as well as handling multiple instrument, arrangement and programming duties. In 1992, when Lou Gramm rejoined Foreigner, Bruce was hired for the bass position now vacated by the departing Rick Wills. Foreigner released “Mr. Moonlight” in 1995, with several songs co-written by Bruce, including the single “Until The End Of Time” and they have toured steadily from 1992 - 2002. The bus wheels have finally ground to a halt and Turgon has welcomed the opportunity to kick back and start fleshing out some new material for the his first solo album on Frontiers Records. Entitled “Outside Looking In”, Turgon's record of course features former band-mate Lou Gramm co-writing with Bruce three songs and offer his services as background vocalist. But apart from this, Bruce Turgon took the responsibility of the rest of the songwriting and makes his debut as a fine singer as well. Musicians featured on the album are Denny Carmassi on drums (Heart / Whitesnake / Foreigner / Montrose), Rocket Ritchotte on lead guitar (David Lee Roth / Stan Bush / Cher / Rick Springfield), Scott McKinstry on lead guitar (Lou Gramm Band), Ronnie Montrose on lead guitar, Ricky Philips and Tom Gimbel on backing vocals. The magic of the Shadow King and Foreigner music is back ! Watch out for this great talent! 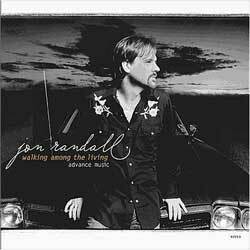 "Walking Among the Living", Jon Randall new cd! Jon Randall's skills as a tenor harmony singer and guitarist have led to membership in the bands of Emmylou Harris, Sam Bush and Lyle Lovett. He's made his living working with everyone from Linda Ronstadt, Trisha Yearwood, Patty Loveless and Lee Ann Womack to Bill Anderson, T. Graham Brown, John Cowan and Kid Rock. And along the way, he nearly lost sight of his original purpose. Now, Walking Among the Living reclaims it. Fourteen songs written or co-written by Jon Randall, the CD is a stunning showcase with a full, crisp sound and dynamic vocal performance. In the gorgeous "North Carolina Moon," Jon Randall yearns for a mountain home accompanied by the angelic harmonies of Sonya Isaacs. He's softly seductive on the lilting "In the Country" and shouting the blues on the rocking "Coming Back for More." 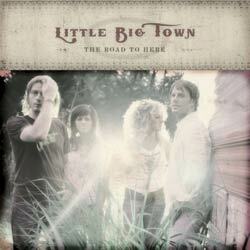 "The road to here", Little Big Town's new record! It's the harmonies that draw you in. The big, lush, gorgeous harmonies. You're hooked and it's then that you realize that it's not just the harmonies. Everything about Little Big Town is unique to the country music world. Comprised of Karen Fairchild, Kimberly Roads, Jimi Westbrook and Phillip Sweet, Little Big Town's configuration of two men and two women is unique. Also unique is that there is no single lead vocalist all four take on lead vocal responsibilities. Little Big Town's voices blend so effortlessly one would think they'd been singing together since childhood. While that isn't quite true, their backgrounds are strikingly similar. All four band members began singing in church and with their families and Phillip even performed in a family band. Each then blossomed in their craft during college, a career as a professional musician the clear path for each. Equity. There are only few people in the music business who can look back on such an impressive professional career as TOMMY DENANDER. The artists Tommy played with reads like the WHO IS WHO of Rock. In 2005 and for the 3rd year in a row Tommy has placed a song in the Eurovision song contest, in 2003 he competed in Sweden, in 2004 in Finland and in 2005 it was time for Norway! Recently he has written the music theme to a big Swedish music TV program called "POP IN" that started in August for the biggest music show called "VOXPOP". Tommy recently played guitar on Paul Stanleys and Westlifes album so Tommy reached the major league of music business! 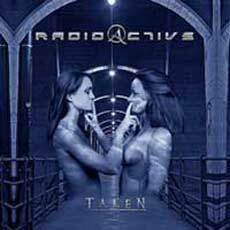 "Taken" is definitely for the major league and we all can expect an incomparable melodic rock masterpiece! 13. Never Gonna Let Her GoTommy recently played guitar on Paul Stanleys and Westlifes album so Tommy reached the major league of music business! "Taken" is definitely for the major league and we all can expect an incomparable melodic rock masterpiece! The album will be released in a "Golden MTM 10-Years Anniversary Edition" in mid of November. Beside the regular version, the album will be released in a strictly limited edition featuring a 20-minutes bonus DVD with interviews and studio recordings plus cool private films of the musicians. MTM MUSIC signs Frederic Slama´s AOR "L.A. Attraction"! 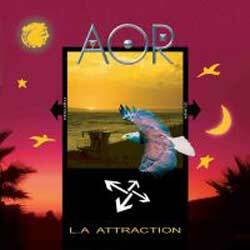 AOR is back with a brand new CD called ”L.A. ATTRACTION”, once again featuring the talents of many great AOR / Westcoast stars such as TOMMY DENANDER, STEVE LUKATHER, PHILIP BARDOWELL, RICK RISO, J.LYNN JOHNSTON, DANE DONOHUE, PETER FRIESTEDT, DAVID DIGGS and MICHAEL LANDAU among others. "L.A ATTRACTION" sounds like a mix between TOTO, SURVIVOR, RADIOACTIVE and FOREIGNER and is a real feast for all AOR and melodic rock aficionados! This new album, again produced by Swedish mastermind TOMMY DENANDER, takes Westcoast and AOR music to a new level of perfection! The release is scheduled for January 2006! 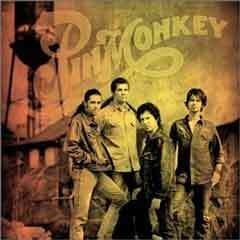 Back Porch is proud to announce the signing of Pinmonkey for their new album, BIG SHINY CARS, available early 2006! Michael Reynolds, singer of the band says: "We wanted you to be the first to know. Pinmonkey has signed a record deal with Back Porch Records, a subsidiary of EMI Music. We are very excited about working with Back Porch and the feeling is mutual. The Back Porch folks are really great and are genuinely excited about working to spread the Pinmonkey gospel. I think we finally found that can of gasoline!! Back Porch will be releasing the new album that we know the Junkies have been looking forward to for a long while now. Back Porch isn't wasting any time. We have already done a photo shoot for the album and plans for a video are in the works. The album is slated to be released early March, and we are looking forward to being back on the road early in the new year. Frontiers presents long awaited Ambition project! Frontiers Records is pleased to present all details surrounding the release of the long awaited AMBITION project. 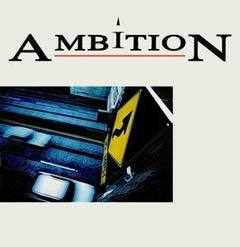 The basis of AMBITION were put during the year 2002, when Frontiers Records President - Serafino Perugino - approached singer Joe Vana, of MECCA fame, in order to bring back on the spotlight one of the “long lost” AOR golden throats - Thom Griffin. He reappeared again – after a silence lasted some 20 years! - on the music scene singing backgrounds on the MECCA album, where Vana ironically, shared lead vocals with Fergie Fredriksen (ex TOTO, LEROUX): the first singer in Griffin’s original band TRILLION. Griffin gained in fact his cult-status singing with TRILLION on “Clear Approach”, a magnificent example of Pomp Rock which still today stands the test of time and that got reissued in the year 2000 on Sony Music in Japan. Vana and Griffin soon went into the studio and cut the song “Waiting In My Dreams” (a remake of a hidden treasure from the MR. MISTER repertoire), who took melodic rock fans by storm on the ROCK THE BONES vol. 1 compilation, released on Frontiers in 2003 (now included as a bonus track on the finished release). Shortly after however Joe Vana was forced to resign from his obligations, because of circumstances outside his control. Griffin then remained without a producer and a songwriting partner and the project was about to be put on hold indefinitely. But it was only thanks to Perugino’s persistence that AMBITION could see the light of the day in the end! He hired producer Fabrizio Grossi (GLENN HUGHES, STARBREAKER, VERTIGO etc.) to care about the recording sessions and asked around to supply the proper material that could suit best Griffin’s soaring vocal abilities. Joey Carbone, longtime Joseph Williams’ (ex TOTO singer) sonwgriting partner, answered the call and supplied “No Wasted Moments” and “Together”. But thanks to this idea he was also able to discover a couple of new talents in the persons of Christian Wolff, a very gifted songwriter from Sweden (who in the meanwhile has become the new songwriting partner of ON THE RISE’s Terje Eide – who also has a song on this album “Shaping Fate and Destiny”) and Brian LaBlanc (who later on got a recording contract with his own band BLANC FACES). The recording of the project could finally restart at the end of 2004 and since the music had an obvious resemblance to TOTO’s sound on “Isolation” and “The Seventh One”, the producers thought to enlist the services of Swedish guitar ace Tommy Denander, who could give the perfect AOR touch for this release! Still keen on the idea of having two singers sharing lead vocals duties – and since Vana could not yet resolve his own problems - at the very last minute, Perugino and Grossi thought it was cool to have a guest spot from short-lived TOTO singer Jean-Michel Byron. He duets with Griffin on “Too Much” and “Hypocrites” and sings leads on “Hunger” giving a special taste to the release. Release date is scheduled on Frontiers Records in Europe on January the 27th 2006 with a Japanese release scheduled on KING Records shortly after. Michael McDonald will be the featured artist on its 2005 Hallmark Music Holiday CD! Hallmark announced today that multiple Grammy Award-winner Michael McDonald will be the featured artist on its 2005 Hallmark Music Holiday CD. 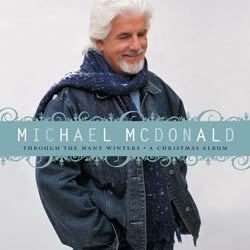 Michael McDonald’s Through the Many Winters, A Christmas Album includes 10 seasonal songs selected and recorded by Michael for this special album. The title track is a new holiday classic written by Michael and his wife, Amy Holland, for this CD. Produced by Michael McDonald, Shannon Forrest and Grady Walker, the album will be available throughout November and December 2005 exclusively at Hallmark Gold Crown® stores. The announcement was made by Ann Herrick, integrated marketing manager at Hallmark. Michael McDonald’s distinctive voice and unique singing style helped launch him into international fame soon after he joined the Doobie Brothers in the late 1970s. Among their many Grammy Award-winning, Platinum and Gold hits are McDonald’s “What A Fool Believes,” “Taking It To The Streets,” and “Minute By Minute.” During his decades-long career with the Doobie Brothers, as a solo artist, in live performances and recordings with other noted artists including James Ingram and Patti LaBelle, McDonald earned a stellar reputation for what is often called his “Blue-Eyed Soul” delivery of new and classic songs. His renditions of Motown hits recently earned him his first Platinum record as a solo artist and yet another Grammy nomination. His new endeavor, Through the Many Winters, A Christmas Album, includes a unique and diverse selection of songs, capturing the special ways in which people around the world celebrate the holiday season. Through the Many Winters, A Christmas Album is priced at $7.95 with each purchase of three Hallmark cards. Consumers can visit Hallmark.com or call 1-800-HALLMARK (800-425-5627) to find a Hallmark Gold Crown store in their area. McDonald’s signing to record this new holiday CD reflects Hallmark’s ongoing commitment to partnering with world-renowned artists in the music industry. Teri Brown, president of T.B.A. Network, Inc., was instrumental in crafting the partnership between Hallmark and McDonald. Hallmark has offered holiday music since the mid-1980s with such recording artists as Amy Grant, Vince Gill, Olivia Newton-John, Natalie Cole and Tony Bennett, among others. Last year’s James Taylor: A Christmas Album, was the only CD of the holiday season to be certified Platinum. Hallmark’s first Valentine’s Day CD, featuring newly arranged songs by Martina McBride, went Gold one week following its release on Jan. 24, 2005. Hallmark is synonymous with quality entertainment, producing and sponsoring the acclaimed Hallmark Hall of Fame television series for more than 50 years.